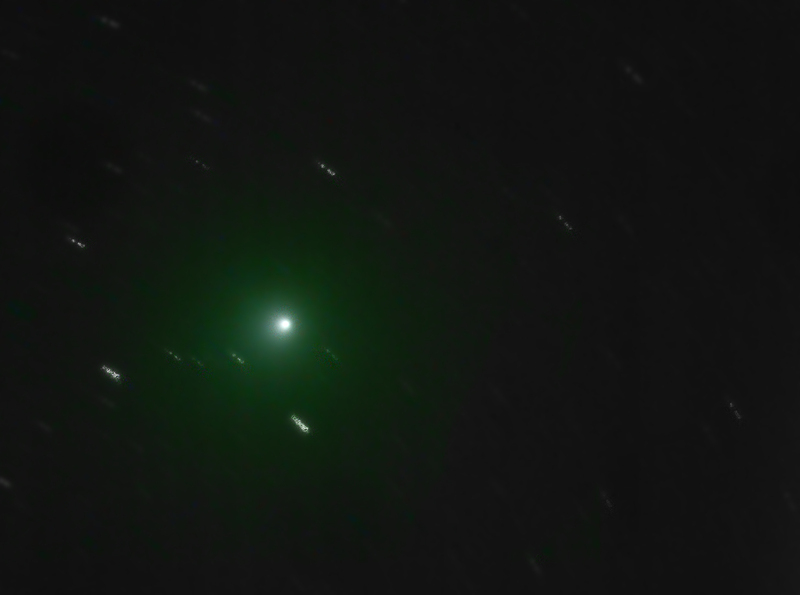 A close up shot of the comet using the Altair Astro 60 EDF and the Altair Astro GPcam. 20x30 secs. 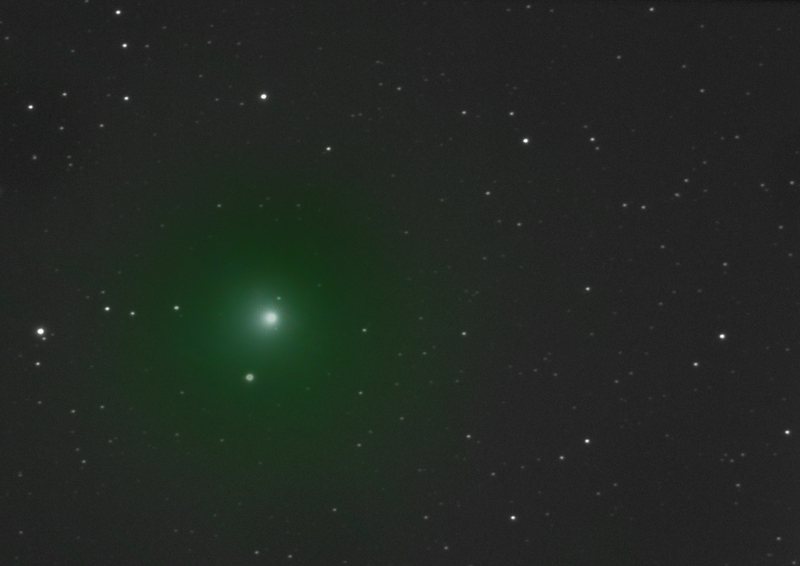 I stacked the stars and comet separately then combined them in Photoshop, so no star trails. I also made a short video covering about 30 minutes. The dimming at the end is due to high cloud.